Portrait of Thomas Allen. || Photo credit to Wesley Parnell. Most King’s students walk by the same man every day, perhaps forgetting their ID and gesturing to the same bald head, blue polo, and playfully shocked face knowing nothing about him, maybe not even his name. But, he knows every face, and he will open the gate every time: This is Thomas the security guard. Keithon Thomas Rahshad Allen, known to King’s as Thomas, was born and raised in Flatbush Brooklyn, New York by a single mother and absent father. Allen’s childhood varied in experience. Many of his positive memories of adolescence are wrapped around strong relationships with other kids that were his age at the time. Other aspects of his childhood were more difficult to swallow. Thomas had to face loss, racism, and instability from a very early age. However, sports brought a great form of stability into his life. After his mother passed away, he was shuffled around to different family members, and even moved out of New York for a period of time to live with one of his sisters. Considering his upbringing being based in New York City, it was difficult to adjust to rural living. However, despite this constant movement and unfamiliarity, sports, specifically football, would be a constant in his life that never waivered. Thomas started football at the age of 7, but he wasn’t always best suited for the sport. 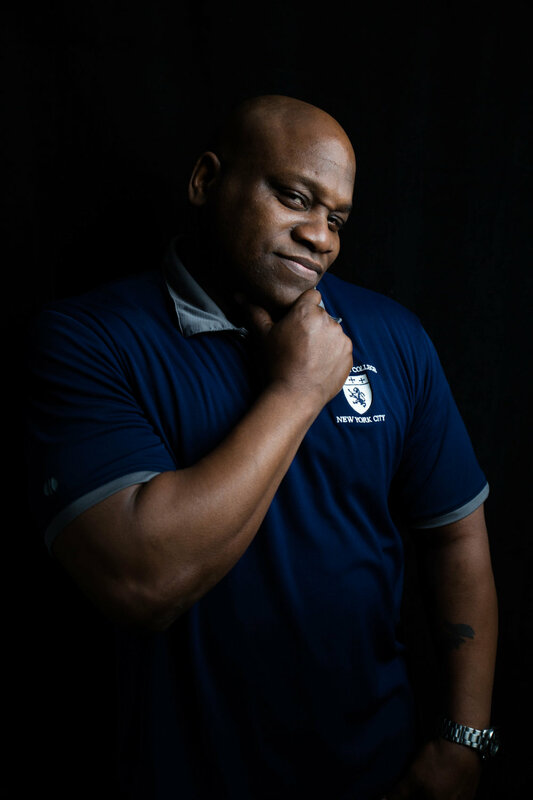 “They laughed at me when I tried to play football my freshman year of highschool and called me weezles, because I weighed 130-135 pounds,” Thomas said. True as it may be, the image of a scrawny teenager with dashed hopes and a bruised ego is quite contrary to the 6 foot, burley man King’s students see everyday. Nevertheless, that year Thomas bought his first set weights and dedicated the entire summer to getting in shape. After high school, he abstained from college to pursue semi-pro football until the age of 50. “This june I will be 53,” Allen said. 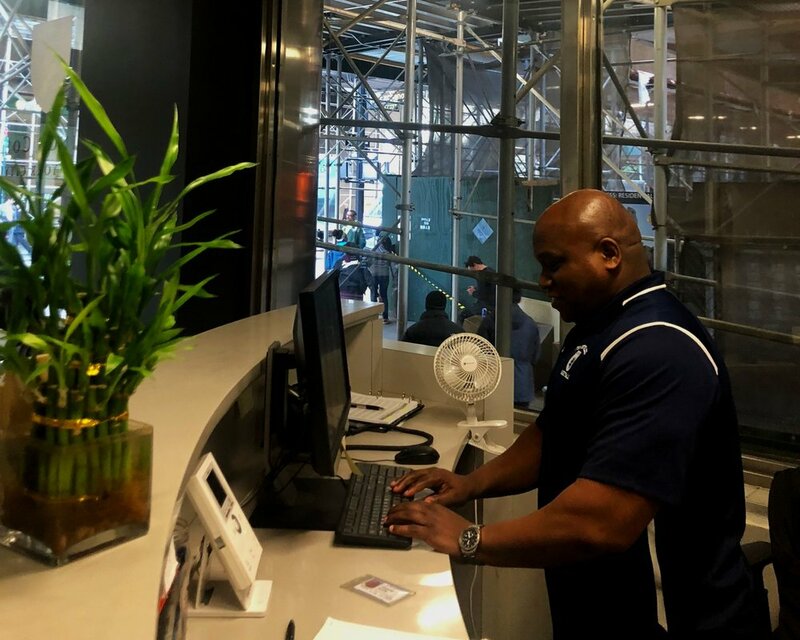 He first started working at King’s in 2015, but has been in the Financial District long enough to have seen both attacks on the World Trade Center. Being in New York during these heightened city tensions made Thomas's religious beliefs all the more interesting. Already having to deal with racism and major loss, more discrimination would follow Thomas as well. Although, Thomas was urged to replicate his father, he tries to create a different reality for his own 14 year old son. Even though Thomas works to provide his son with more choices, he still has to deal with the common misjudgment of Muslims in today's culture. In the years Thomas has worked at King’s, a Christian institution, he has had one negative experience with a student in regards to his religion. However, beyond that, he has found a more welcoming environment than in past work places. Thomas has especially grown to enjoy seeing and talking with King’s students everyday. 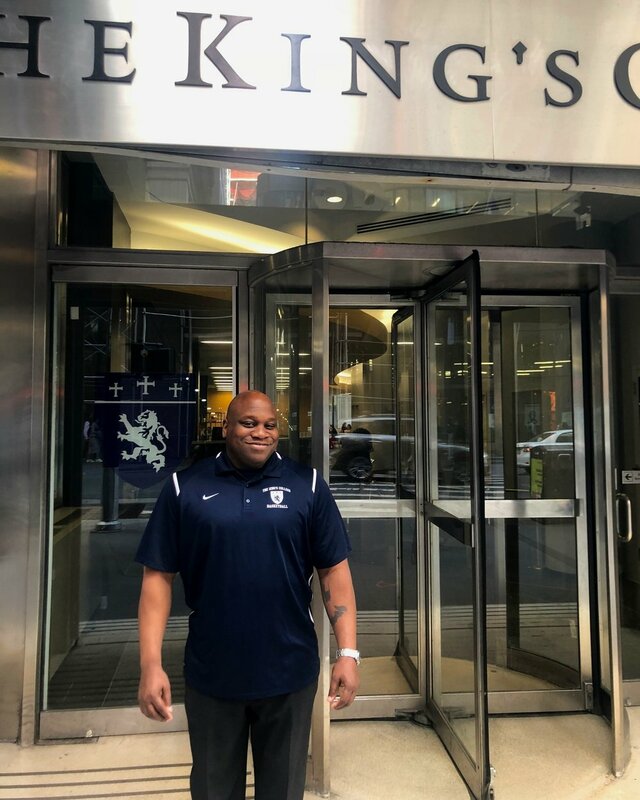 Although, Thomas has faced hardships difficult for anyone to bear, he has found great joy in being a father, a football player, and a watchful eye for all King’s students. “That’s pretty much it, there’s nothing fancy about my life,” Thomas said.